Piano movers can charge quite a bit to move your piano. 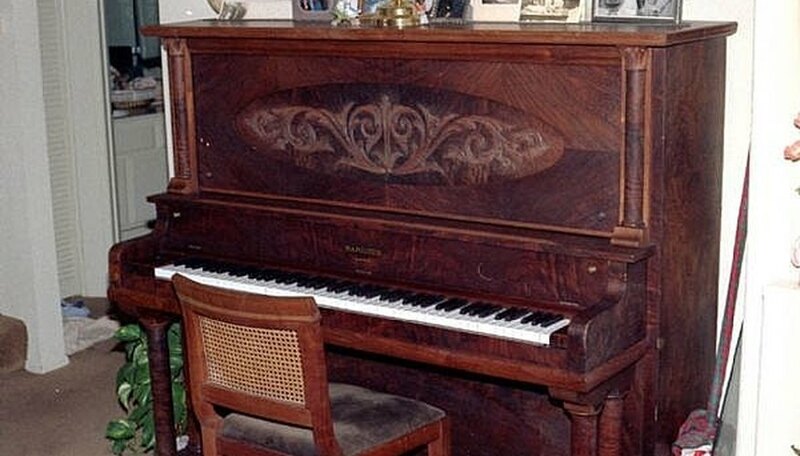 In most cases, you should hire professionals to move your piano. 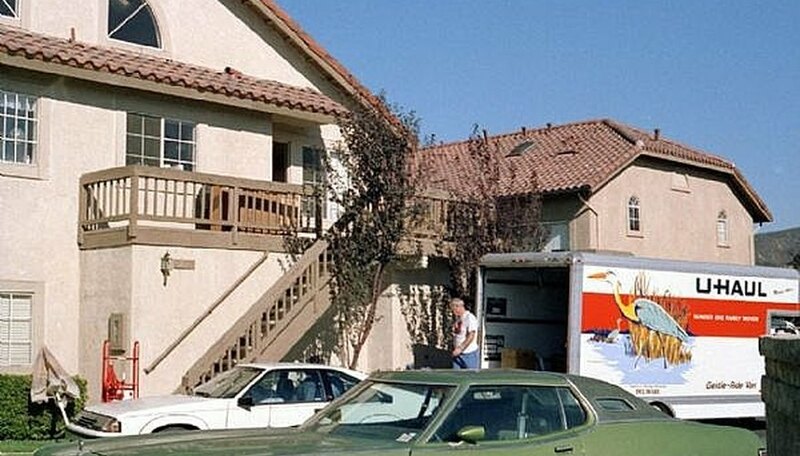 But if you have an upright, spinet or console piano, and a relatively flat or ramped path from one place to the other, you can move it yourself and save some money. I have moved my piano into and out of 4 houses in California, 2 houses in VT, and then to our house in NY. One place even had a flight of stairs! I made my own piano dolly to do it, as well. Here's how I move mine. LIFT UP ONE END AND PLACE DOLLY -- Place a blanket or pad down under one end of the piano. 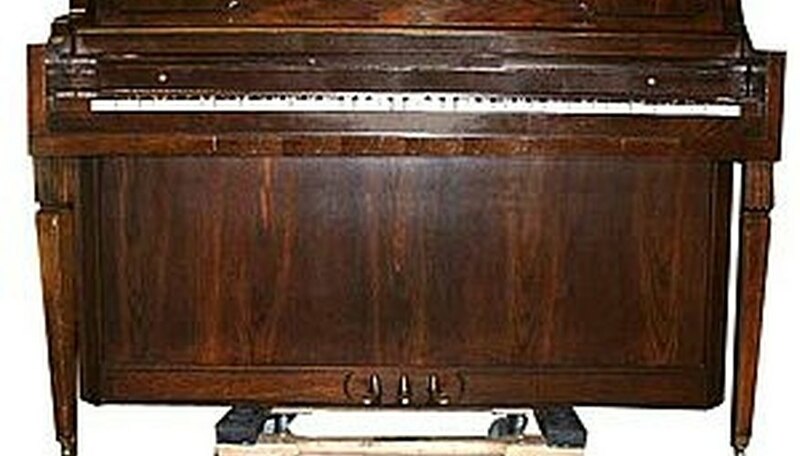 Two or three people should be able to lift the other end of the piano up high enough to place the dolly lengthwise under the middle of the piano. BALANCE THE PIANO ON THE DOLLY -- When the dolly is exactly in the middle, hold both ends of it up against the bottom of the piano. Let the end of the piano down slowly so that it balances on the dolly. It's a good idea to now tie the dolly to the piano by wrapping the strap or rope around the top and bottom. COVER THE PIANO EDGES -- Use moving or other blankets to cover the sides of the piano so it will not get damaged if you bump into something. Tie a rope around the piano to hold the blanket on, if you'd like. 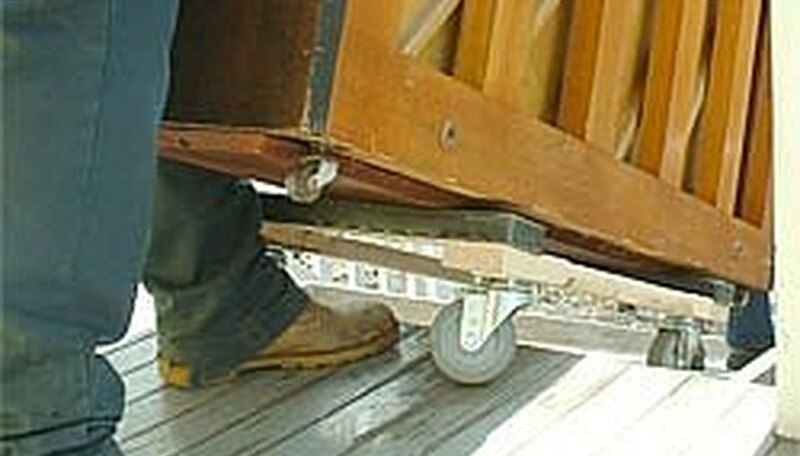 MOVING THE PIANO ON FLAT GROUND -- Once centered on the dolly, the piano should move almost effortlessly on flat ground; its weight and momentum help it roll smoothly. Have at least one person on each end when pushing it. TACKLING BUMPS OR STEPS -- When you come to a bump or a single step up, this is what you do: Roll the dolly up so the front wheels are at the step. With at least one person on each end, tilt the end of the piano farthest from the step downward. This will lift the front wheels up. Slowly roll the front wheels over the bump or up onto the step. Then when the wheels are up on the step, lift and push the back end of the piano so that the rear wheels lift up and onto the step. Going down a step, have at least two people on the bottom of the step and ease the front wheels down over the edge. Push forward and then do the same for the back wheels from the back of the piano. STAIRS?? -- I don't recommend you move up or down more than a couple stairs. I had a straight flight of stairs and was crazy enough to try. If it was twisting or more than one level, I would have hired professionals. But you can see in the photo that it was a straight shot. For both up and down moving, I first tied a strong rope around the piano. Then I put two 2x4s the length of the stairs, making a smooth ramp. We removed the dolly. With two guys on the bottom and two on the top with the rope, we just slid it up/down the stairs. I have this on video if eHow lets us add video files to these articles again. 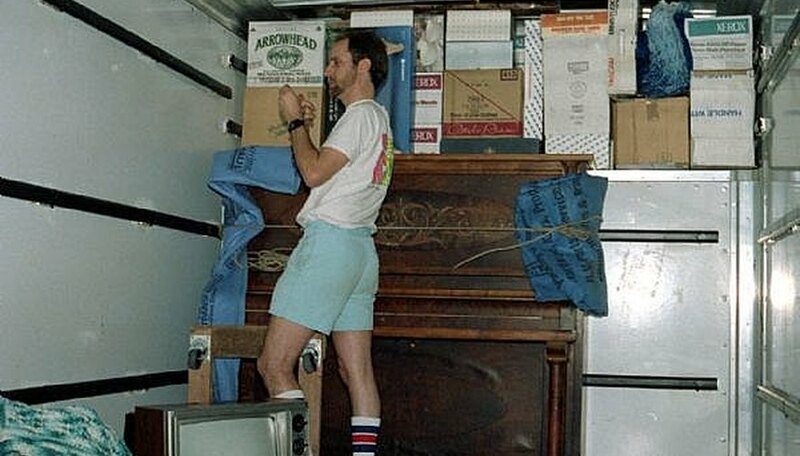 LOAD INTO TRUCK -- You should be able to push the piano (on the dolly) up or down the loading ramp of a truck or trailer -- use two people on each end of the piano. 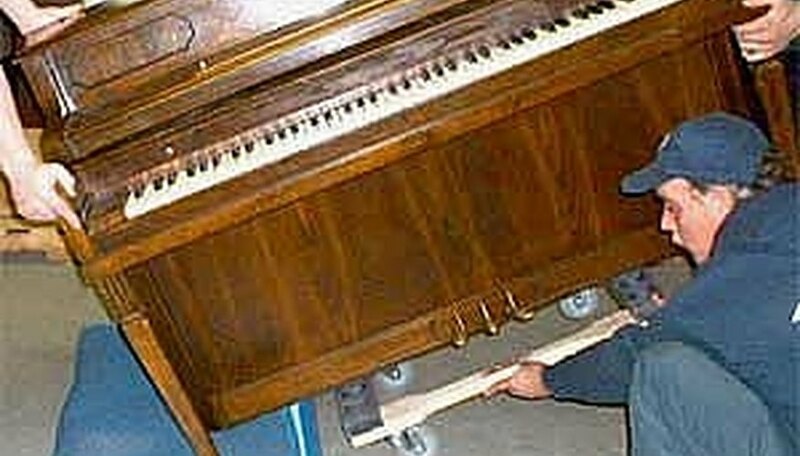 If you have to lift the piano completely off the ground, hire professional movers. If you have to move the piano on twisting stairs or more than 4 consecutive stairs, hire professional movers. If the piano becomes unstable and begins to fall, get out of the way and let it fall. Do not attempt to catch it! Do not push the piano on its casters. Believe it or not, they are not meant to roll the piano. Always use a piano dolly.